Sunderland will have Wes Brown available on Saturday after Gustavo Poyet became the latest Premier League coach to receive a call from Mike Riley. Poyet was in a grateful mood yesterday after not only seeing Brown’s red card at Stoke City rescinded, but also taking the phone call he had asked for. Losing Brown for matches against Aston Villa, Chelsea and Tottenham Hotspur would have been a major loss to the Black Cats. The former Manchester United centre-back has been the biggest single factor in his club’s recent defensive improvements after returning from 21 months out with injury. In appealing Kevin Friend’s decision – which was widely condemned – Sunderland risked the suspension being extended for a frivolous appeal. However, the consensus was always that it was a low-risk appeal. “I would like to express my thanks to the panel for giving the matter their consideration,” said Poyet. “Naturally we are delighted with their decision, which is fair and just. “I have spoken with Mike Riley and whilst the details of our conversation will remain private, I am satisfied with the outcome. “Of course it was hugely frustrating to have Wes sent off, but we accept that officials are only human and like everyone, they can make mistakes. “Having the red card rescinded today goes some way to rectifying the error and we are delighted to have Wes available for Saturday’s game at Aston Villa.” Brown was sent off 36 minutes into the 2-0 defeat at Stoke for what was widely seen as a fair challenge on Charlie Adam. Riley is the manager of Professional Game Match Officials, the body in charge of Premier League referees. He recently telephoned West Bromwich Albion’s Steve Clarke to apologise for an error in their game against Chelsea earlier this month. Uruguayan Poyet had pointedly – and in slightly inflammatory fashion – said that he hoped the same courtesy would be granted to “a foreigner”. Meanwhile, Vito Mannone is pleased to have established himself as a first-choice goalkeeper after a career on the sidelines. The Italian has got used to life as a back-up option after eight years at the Emirates, but he insists he was never satisfied watching from the sidelines. Mannone has established himself as Sunderland’s first-choice goalkeeper in recent weeks, taking his chance after Keiren Westwood suffered a blow to the head during the game at Hull City. He seems to have prospered from a style of play under Poyet which demands goalkeepers are good with their feet as well as their hands, and from his relationship with new goalkeeping coach Andy Beasley. Beasley followed Poyet to Wearside having worked under him at Brighton and Hove Albion. 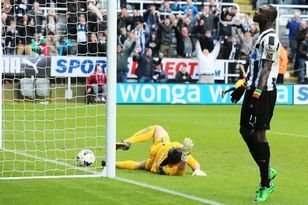 “For a goalkeeper, there has to be a special relationship with the goalkeeper coach,” commented Mannone. “You need to know about each other, try to work out how to get the best out of the goalkeepers. It is a delicate position. Thankfully we have a good one here. “He (Beasley) is very good on the training ground, we are getting to know each other. We have progressed from the first few weeks and that will only continue. “He has the same mentality as the gaffer, he knows him well, so he is prepared to get the goalkeepers playing exactly the right way that the gaffer wants. He wants us to play with our feet. “We are all under the same roof, we know what we are doing so we try to be friends. “What is important is that when you go on the pitch that you are prepared as well as you can be.